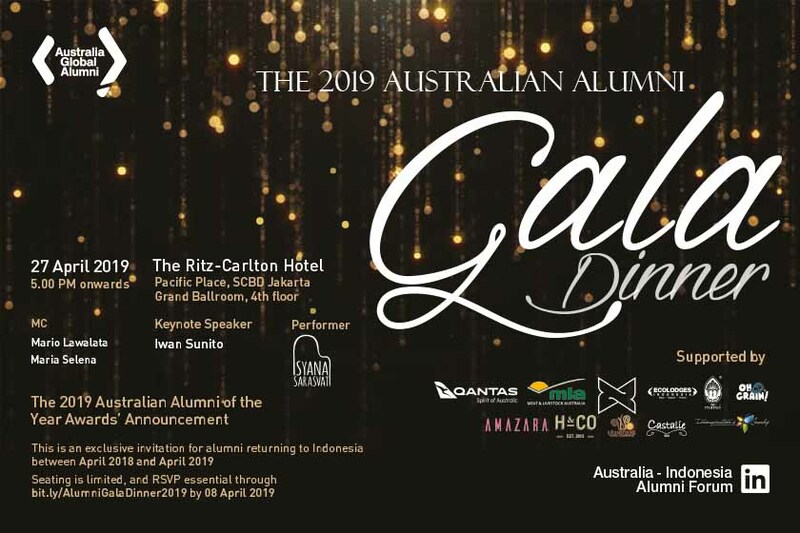 The Australia Global Alumni in Indonesia would like to invite Australian alumni to attend the 2019 Australian Alumni Gala Dinner on 27 April from 5.00 PM till 8.30 PM at the Ritz-Carlton Pacific Place Hotel, Jakarta. 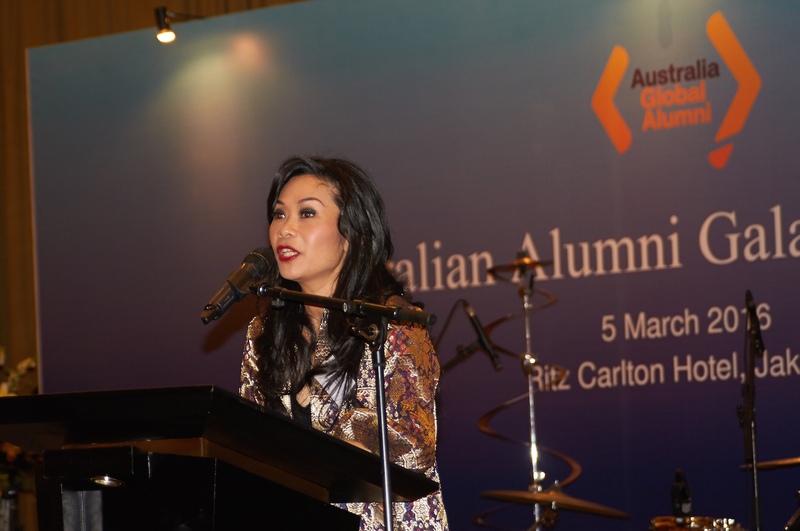 The event is held to 'welcome home' newly returned alumni of Australian Universities, and open to all Indonesian nationals who graduated from a recognised Australian tertiary institution between April 2018 and April 2019, including those who self-fund their study in Australia, Indonesian Government funded scholarships, short term study, or other. This year's Gala will feature, a keynote speech by Indonesian notable figure Iwan Sunito, Indonesian personalities Mario Lawalata and Maria Selena, musical performer Isyana Sarasvati and announcement of the winners of the prestigious 2019 Australian Alumni of the Year Awards. A three course a la carte menu will be provided and a round-trip Qantas ticket, Jakarta to elected cities in Australia, is up for grabs as a lucky door prize. The drawing of which will occur on the night. Opportunities for two professional development activities will be made available for alumni at the Sultan Hotel Jakarta. An Alumni Grant Scheme (AGS) Proposal Workshop will be held in the morning of 27 April from 8.30 AM till 12.00 AM, followed by a career-oriented workshop entitled Leadership for Life: Developing your Inner Leadership Qualities from 12.30 PM till 3.45 PM. Further details of the workshops will be shared along with a confirmation email. Alumni wish to attend the Gala and workshops are advised to register through this link before 8 April 2019. Early registration is recommended due to the limited availability of seats.